Located 30 kilometres north of Bali's central area, Buleleng is a popular district to see when travelling around the area. Home to draws like the Tanah Lot and Kuta Beach, a journey to Bali will make for a memorable experience. For a truly authentic cultural journey, bask in the peaceful atmosphere at Pura Agung Jagatnatha. 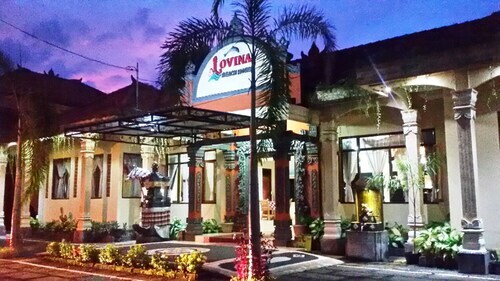 The Cempaka Lovina Hotel is a close by place to stay. Immerse yourself in the calming surrounds while visiting Klenteng Ling Gwan Kiong. It's advisable to plan in advance if you want to take a tour. Consider the POP! Hotel Hardys Singaraja Square to stay close to this place. Chasing cheap hotel options in Buleleng? 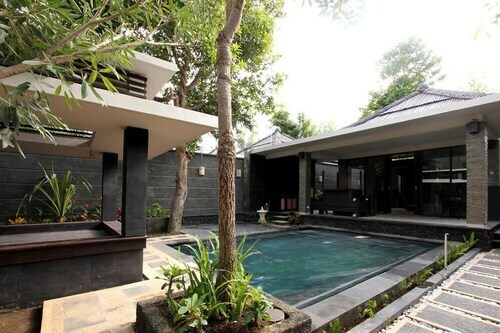 Stretch your cash further at Buleleng's affordable options, like the Bali Taman Lovina Resort & Spa and Omunity Bali. 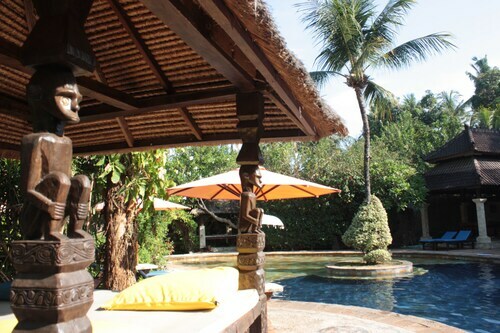 The Lovina and Bali Paradise Hotel Boutique Resort & SPA are two more luxurious places to rest and relax in Buleleng. That said, don't stress if you're travelling on a tight budget, because Buleleng boasts a great selection of rooms for all travellers. A fantastic Buleleng cafe, BARAK COFFEE BALI is definitely worth popping into. Sit down with a magazine, nibble on a sweet piece of cake or just grab a coffee to take away. If coffee and cake isn't going to cut it, go and check out the menu at BAKWAN BALI KOH NGOMONG. There's something for everyone at this well-loved diner. Isn't it funny that you tend to get thirsty as the sun starts going down? A drink or two at Diva Family Karaoke Hardys Square is the perfect way to finish off a rewarding day. If you and your travelling companion are having problems finding the right hotel in Buleleng, look into the Pemaron hotels guide. Alternatively, the Wotif Anturan hotels guide can sort you out. From accommodation to flights, car hire to activities, Wotif is ready and waiting to help make your Buleleng dreams a reality! How Much is a Hotel Room in Buleleng? Hotels in Buleleng start at AU$25 per night. Prices and availability subject to change. Additional terms may apply.